Rock the Vegas is the latest sim city style release from Game Insight, the same developer that brought us Paradise Island and My Country. The challenge this time around is to build a bustling den of iniquity with hotels, bars, casinos and all sorts of other entertainment. We’ll run through a quick review of the game and then offer up some tips on how you can succeed. In particular we'll take a look at how to get more gold coins or in-game cash without spending real money and we'll discuss the importance of friends. Start your Vegas empire right here. There’s no doubt that Game Insight understand how to create games with an addictive hook. Both Paradise Island and My Country were absorbing titles that kept you coming back for more. Rock the Vegas follows the same model pretty closely. You start on a map with some cash and a few gold coins. 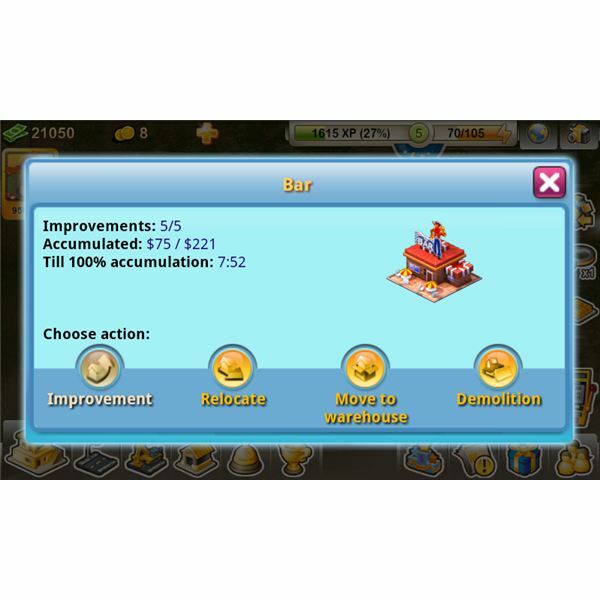 You can build hotels, bars and houses to begin with and over time these structures will earn you money which you collect by tapping on the dollar signs that appear. 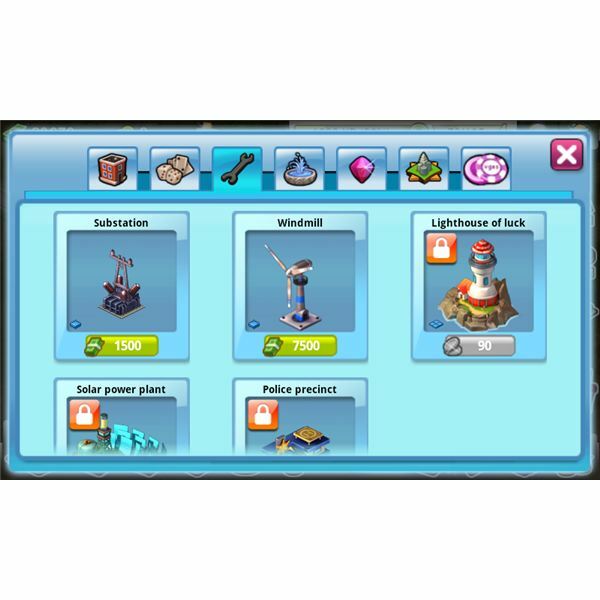 Each action in game also earns you some XP and as you amass more you’ll start to advance through the levels, which unlocks new building options and rewards. 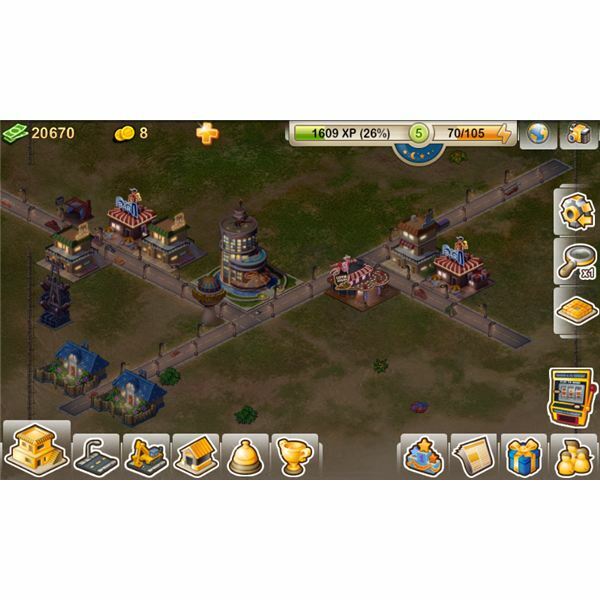 The majority of the buildings you erect can be upgraded and this will generally boost their income so you’ll earn more. You also have to power the place and construct a road network so your sims can get around. There are a few options to beautify your city too. The rate of earning is pretty slow so your best bet is to dip in and out of the game throughout the day rather than sit staring at the screen and waiting for your earnings to build up. Rock the Vegas also features a slot machine accessible via the icon on the bottom right of the screen. This allows you to use any chips you have to play and you can win cash if you match any symbols. It’s a typical slot machine. You can buy chips with gold coins and you can buy gold coins with real cash, although there are other ways to earn them which we’ll look at in the tips. It’s a relatively simple and accessible game. The art style is quite nice, the interface is easy to get to grips with, and you’ll want to improve your city. The Vegas styling works well and the option to have a go on the slot machine is a nice idea. 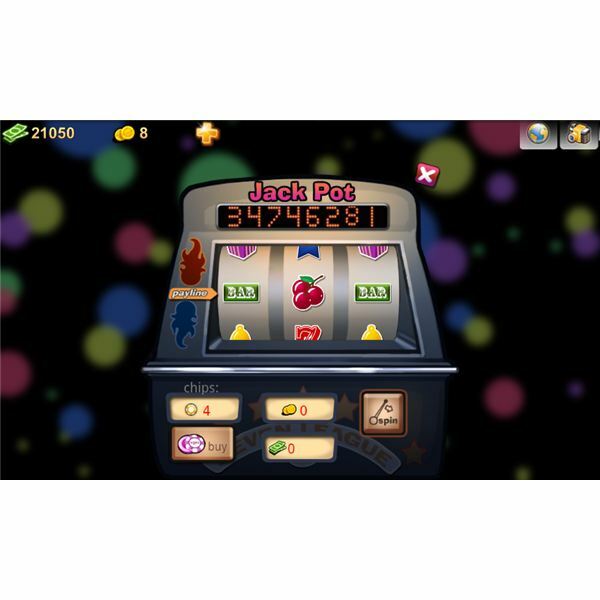 It’s also easier to earn gold coins in Rock the Vegas because you have a number of options to get your hands on them. It wasn’t so easy to get Country Bucks in My Country and after a while that proved frustrating. Like the other releases from Game Insight the game is geared towards encouraging you to spend real cash in order to advance faster. The problem with this freemium model is that you don’t get a great sense of reward by spending cash and it can end up being very expensive. Rock the Vegas also doesn’t look as nice as My Country or Paradise Island and it seems to have fewer building options which is a bit of a disappointment. I’m also finding that my buildings need to be repaired very frequently which slows things down further. You’ll find that certain buildings, extra territory and chips can only be bought with gold coins and there’s a limited supply. The most obvious option to get gold coins is to buy them with real cash but the price is high. You can also buy in-game cash if you prefer. If you connect to your Twitter, Facebook and email accounts you’ll earn 5 gold coins for each. You can get a total of 15 gold coins for this but it’s obviously a marketing strategy by Game Insight so not everyone will want to. If you share your friend code then when you add a friend’s code or they add yours, you’ll both get 1 gold coin or some other reward (sometimes it’s cash or a building). Post your Rock the Vegas names and friend codes in the comments below and get more friends and bonus coins. This is definitely the easiest way to earn more gold coins. 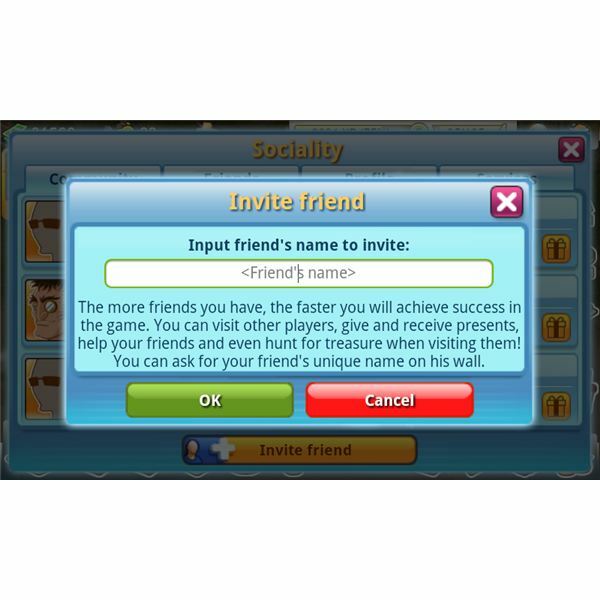 The option to add friends and connect to social networks is in game is via the Sociality screen which is accessed by tapping the icon at the bottom right. Keep a sharp eye out for floating barrels in the water at the bottom of the map. If you tap on them when they appear then you might pick up some cash or gold coins as a bonus. The Caesars Palace Hotel will give you 2 gold coins if you build it and the Cleopatra Restaurant will give you 1 gold coin. The great thing about these buildings is that they’ll keep earning you those gold coins every few hours and you can reduce the wait time by upgrading. If you can befriend at least 25 players then the Kind Hearted award will give you a bonus gold coin. 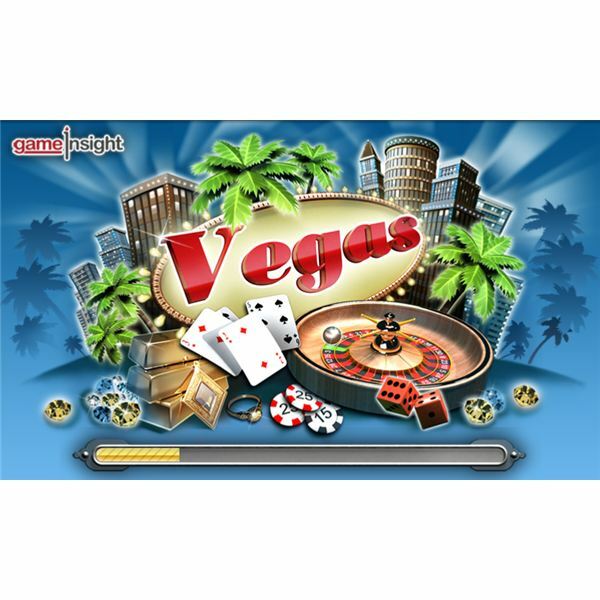 If you can build five casinos the Lord of Excitement award will give you 3 gold coins. Adding friends isn’t just good for bonus gold coins there are other advantages too. You can visit your friends, you can exchange gifts with them and you can vote for your favorite city. There is a leaderboard with various categories so you can compete with the community. You can also hunt for treasure when you visit friend’s cities. This is all accessed via the icon of three people at the bottom right of the screen which opens up the Sociality screen. Have you got any other handy tips for Rock the Vegas? Please post a comment if you do. The best comments will get a promo code worth 10 gold coins.